Brie Larson reminds us how important the relationship between mother and son is in Lenny Abrahamson’s “Room”. This film is the first this year to make me shed a tear and I’d say that is a cause for celebration in the film world. Lenny Abrahamson shows you how a simple idea like this could become phenomenal and potentially “Oscar” worthy. “Room” was like taking a breathe of fresh air from all the Biopics of this year, dragging me along through the story making me think this is a comfortable situation when it shouldn’t be. Brie Larson gives an amazing performance here alongside her costar Jacob Tremblay who defines the words “Child Actor”. Tremblay is only 9 years old and already a shining star that looks like he’s in the running for some recognition this year. Brie Larson plays “Ma” mother to “Jack” played by Jacob Tremblay, as they escape the surroundings that “Jack” has grown up around and discovers just how real the world outside the room really is. This film I might add is either something your going to love or your just going to flat out hate. The plot description given by anyone doesn’t even break the first layer of ice that is this film. Abrahamson brought Emma Donoghue’s beloved novel to the screen flawlessly, in my opinion not missing a single detail. This is not much of a story reliant film, more of a character driven narrative, which is the reason why it just might fly over certain people heads. In my opinion the films with interesting characters who we can fall in love with or just flat out hate with a passion are the ones that have truly achieved their goal, which is why “Room” felt brilliant to me. The emotions were heavy at times due to some of the scenarios shown onscreen but nevertheless Larson never failed to keep that natural mother/son relationship going throughout the film. Going into “Room” I knew very little and I thought coming out it was best that way. I wasn’t expecting the film to be phenomenal or a tearjerker but that’s exactly what I ended up with. Larson’s performance was ever so natural here you’ll never for a second believe Jacob Tremblay has a different mother, which is why I’m very certain this is her year to secure a nomination. Alongside Larson and Tremblay are Joan Allen and William H. Macy who give short and sweet performances that satisfy. 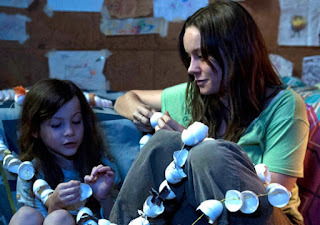 One of the more beautiful aspects “Room” had to it was how beautiful Lenny Abrahamson made being in one place for an extended period of time look so beautiful and cozy. I expected the one setting aspect for this story to tire me out; instead it just continued to intrigue me. The directing style was eccentric and natural complimented with fantastic writing. “Room” had such an original idea for its plot that I’m still wondering how Emma Donoghue’s novel ever came to be, what kind of situation would one have to be in to come up with something like this? The fact that I’m asking this question mean’s there’s nothing but gold here in Lenny Abrahamson’s latest film “Room”. The heartbreaking visuals complimented by the original writing and intense performances make this the ideal candidate for a nomination. 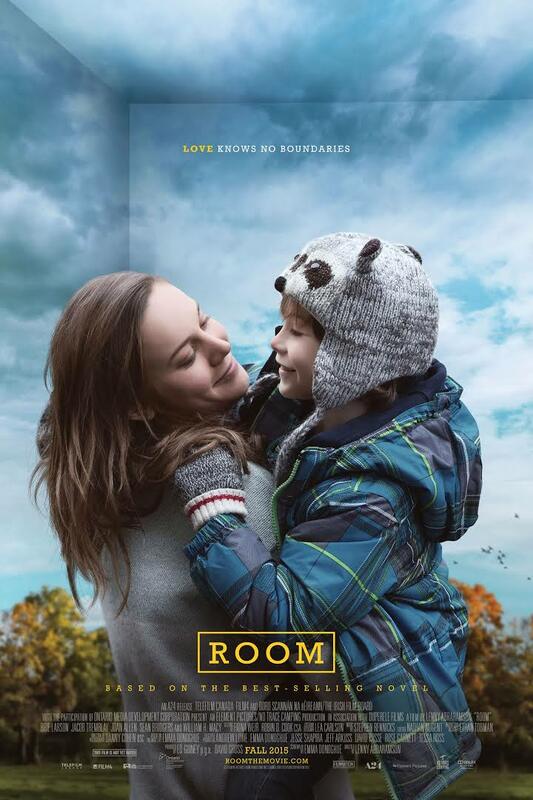 Check out “Room” as soon as you can, I guarantee it’s the bets time you’ll have in one place this year.